It's taken a while to get around to a final published figure, but the Gala Fund now stands at Â£2394. We've already given a few small grants out, including Â£150 to the Gardening Club to put planters around the village, and Â£70 to cover the hosting fees for Catterline Online for the next two years. We are still keen to hear of any other suggestions for local projects that are looking for funding, so if you have any ideas for projects or suggestions for worthy recipients then please do let us know. Submitted by stephen on September 17, 2006 - 20:51. "Once a Fortnight is Plenty" - this year's Supreme Champion from the Catterline Cartie Challenge - once again showed its class with a convincing win at the Stonehaven Carties Annual Race Event (SCARE). Callum Marshal drove three clean runs to win the prize for both the single fastest run and the best aggregate time. Andy Poppleton finally managed to complete a cartie run without injuring himself to come second on aggregate with Urie Blue, and Lewis and Tom Roseweir grabbed third place aboard Elijah. 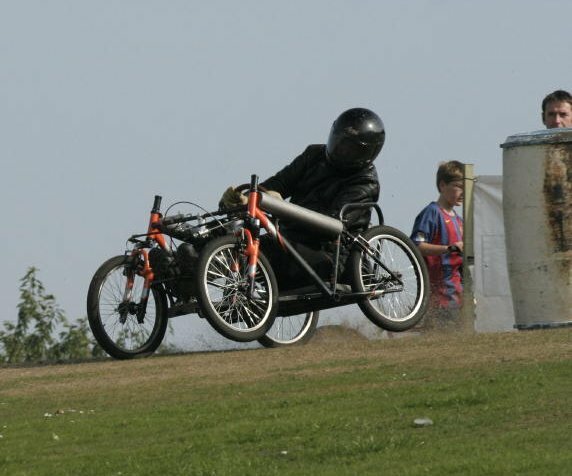 In the junior competition, Callum Bailey came first and Brendan Hall was second, and the Slammer won the prize for the best crash for not one but two distinctly Lemming-esque high speed rollovers. Got any pictures from SCARE? Why not upload them to our gallery , or email them to me and I'll upload them for you. Submitted by stephen on September 11, 2006 - 17:45. 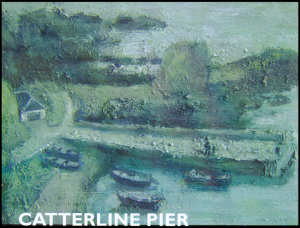 Catterline will be strongly represented at the Stonhaven Cartie Annual Race Event (SCARE) this Sunday. This year's Supreme Champion from the Catterline Carties, "Once a Fortnight is Plenty ", will be taking part, and Team Weasel has borrowed three fine carties - Maniac , Slammer and Elijah - to make sure we have the best possible chance. Other carties familiar from the Catterline Cartie Challenge will also be there, plus a few new machines. In total there will be about a dozen carties taking part. The course for the competition is in Mineralwell Park, starting from The Glebe. Teams will gather at the car park at 12.30pm, with the first run due to take place at about 1.00pm. Submitted by stephen on September 7, 2006 - 10:04. Yesterday's meeting of the Kincardine and Mearns Area Comittee decided to postpone their decision about the St John's Hill Windfarm until they have made a site visit to assess the visual impact for themselves. A decision will now be made at their next meeting, on 19th September. Submitted by stephen on August 30, 2006 - 10:24. Aberdeenshire Planners have recommended the proposed windfarm at St John's Hill be approved at the meeting of the Kincardine and Mearns Area Comittee next week. Douglas Gray, head of planning and building standards, said: "The proposed windfarm site is found to be in broad compliance with national and local policy, subject to compliance with the recommended conditions. Local environmental and amenity issues can be satisfactorily addressed at the proposed site and it represents a good opportunity for development as a windfarm, thereby making a contribution to the Scottish Renewables obligation." Of the 738 letters sent to the planning department regarding the application, 63% were in favour and 37% against. Representative of the developers and BACKWAG will be addressing the Area Comittee on Tuesday before they make their decision. Submitted by stephen on August 24, 2006 - 14:06.